Turkish U16 Champion 2017/2018 with Bursaspor. Ali Akman is a product of Bursaspor youth system – academy known for its fantastic approach to youth players. In recent years, it has produced great talents, such as Enes Ünal, Batuhan Altintaş, Ozan Tufan and Sercan Yildirim. 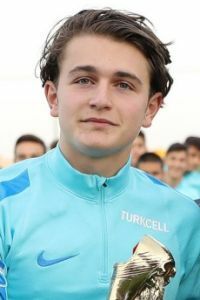 This season, thanks to his great performances for youth teams, Ali was called to join the first team and sat on the bench several times during Süper Lig games. His first team debut seems to be only a matter of time. He is also a regular youth international for Turkey – starting at U-15 all the way through U-17.